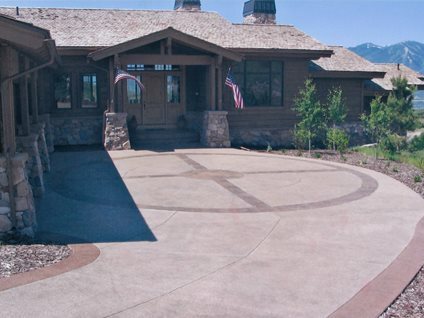 Due to its limitless design versatility, stamped concrete can be used with any architectural style. Whether you have a Mediterranean-style home or an American ranch house, or anything in-between, there is a stamped concrete pattern that will blend perfectly. Get ideas below for matching stamped concrete to the style of your home. Stamped concrete is great for replicating the materials of Old-World Europe and the Mediterranean. Whether you’re looking for something similar to travertine or antique cobblestones, there are stamped styles that can create an authentic look. 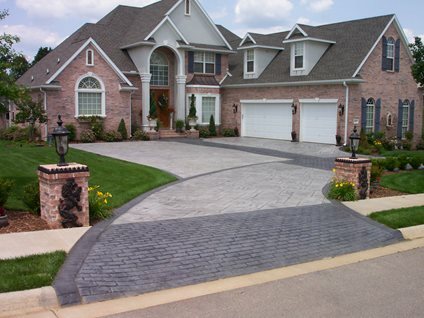 Popular patterns include European fan, ashlar slate and cobblestone. Use colors that mimic the natural stone for the best results. When it comes to creating a modern look with stamped concrete, simple is best. Stick with only one pattern and one color. Seamless texture skins are great for creating a modern design because they add subtle texture that will be in keeping with the minimalist aesthetic. Light colors work great for modern projects, however, you can also play with vivid colors such as blue, green or even orange. Traditional homes are known for featuring brick and stone. 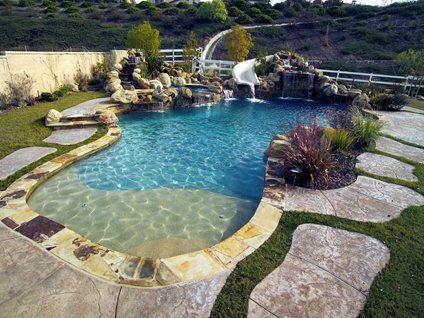 Stamped concrete can be used to replicate and coordinate with these classic materials. Stamped patterns are available that look like hand-laid brickwork, or you can opt for a pattern that resembles formal cut stone. Popular patterns include English Yorkstone, brick running bond and more. Stamped concrete’s versatility of texture and color make it a great candidate for properties with a tropical vide. Small freeform pads can be poured and textured with a seamless skin to create the look of natural rock formations that would be seen on a tropical island. Another popular technique is to use texturing skins and random joints that change direction.